Summer Weeks Available! 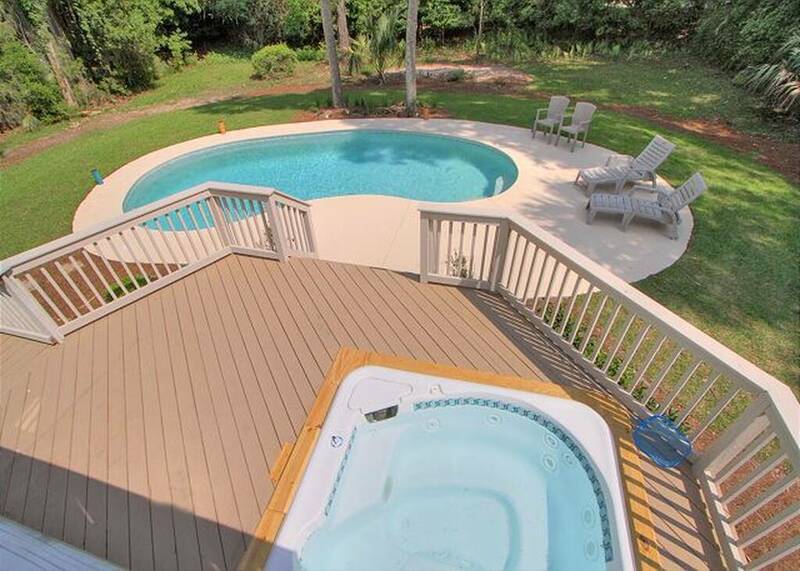 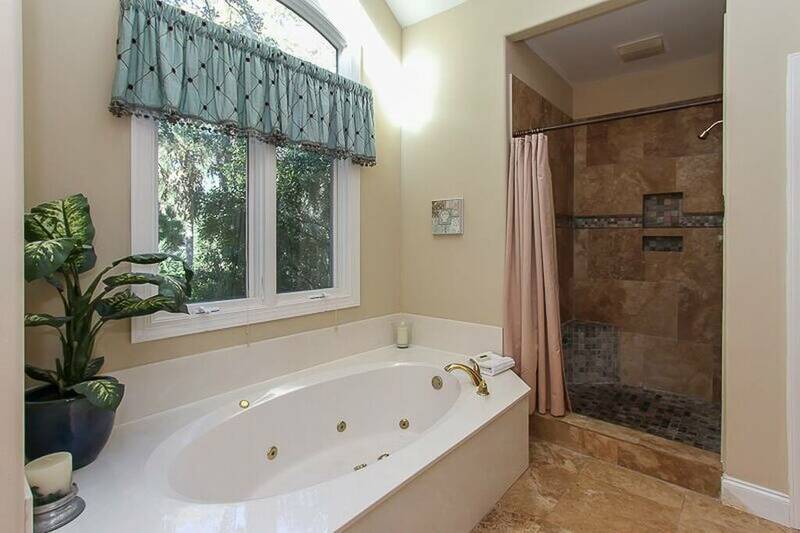 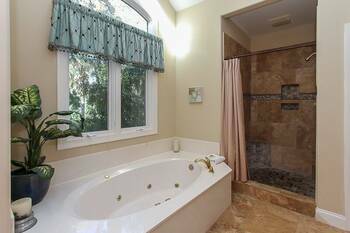 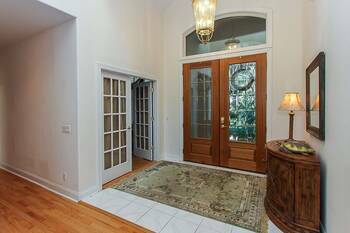 Awesome 4 BR Home with private heated pool, BRAND NEW HOT TUB, large back yard and walk or bike to beach. 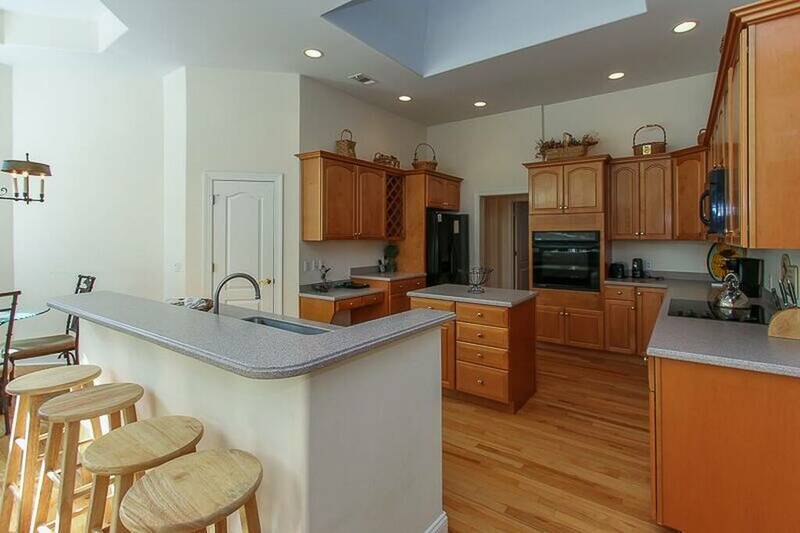 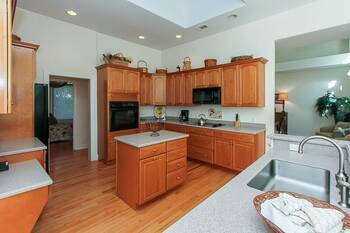 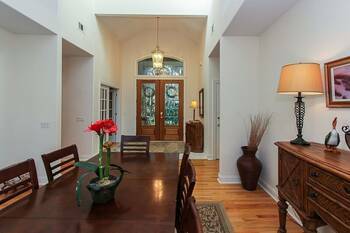 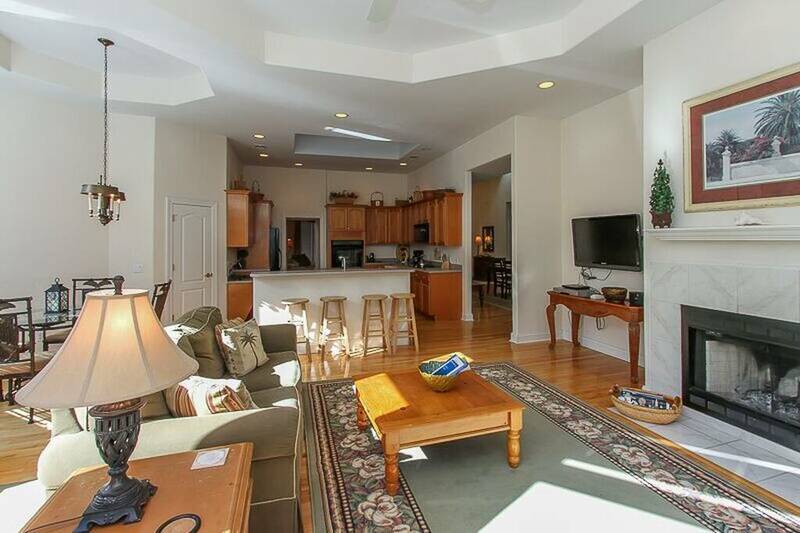 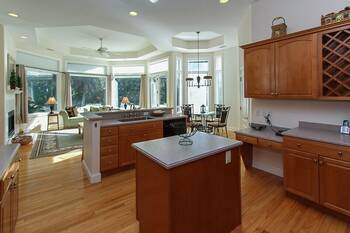 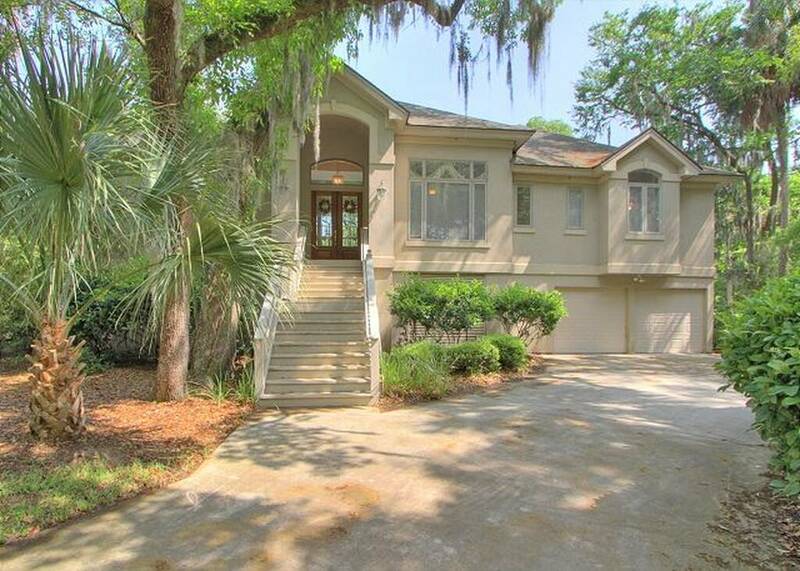 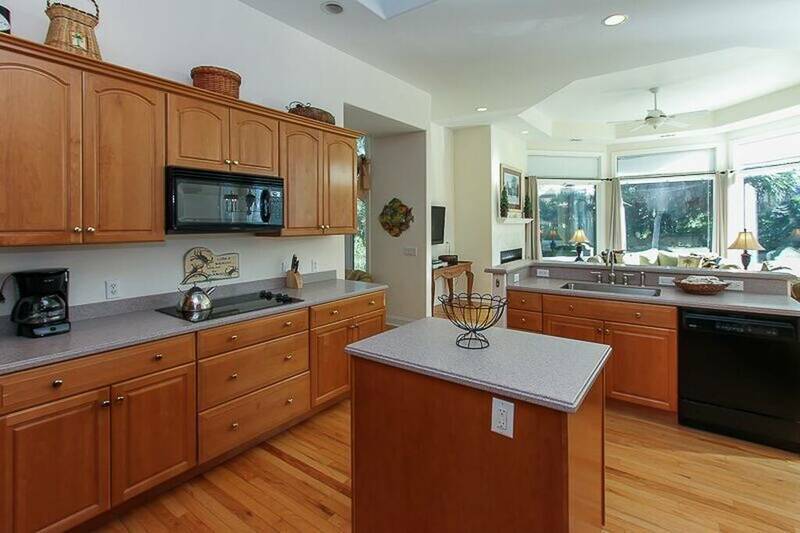 GREAT Beach home in Palmetto Dunes. 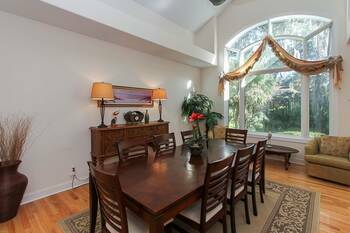 Situated on a quiet, cul-de-sac street, this home is just a short walk or bike ride to the beach. 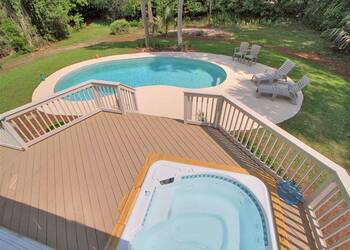 Featuring a large lot with sweeping circular driveway you will enjoy the expansive outdoor deck with private pool, hot tub, and grilling area. 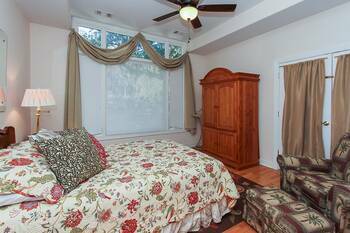 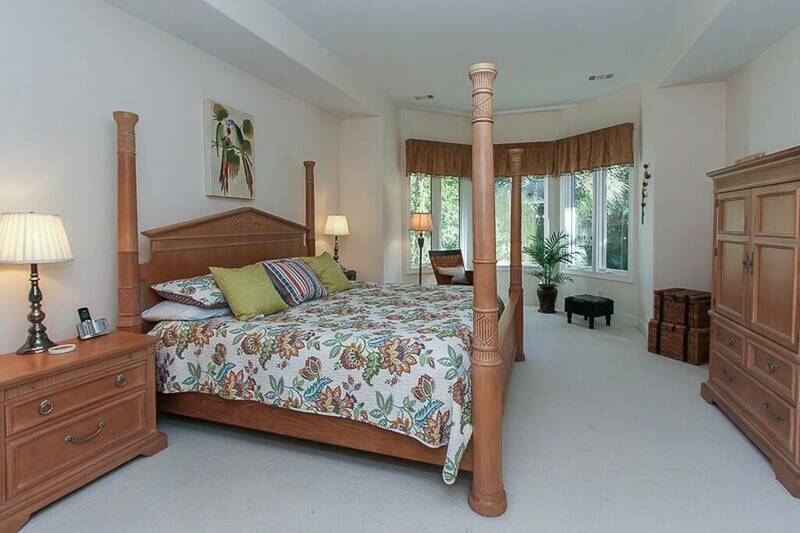 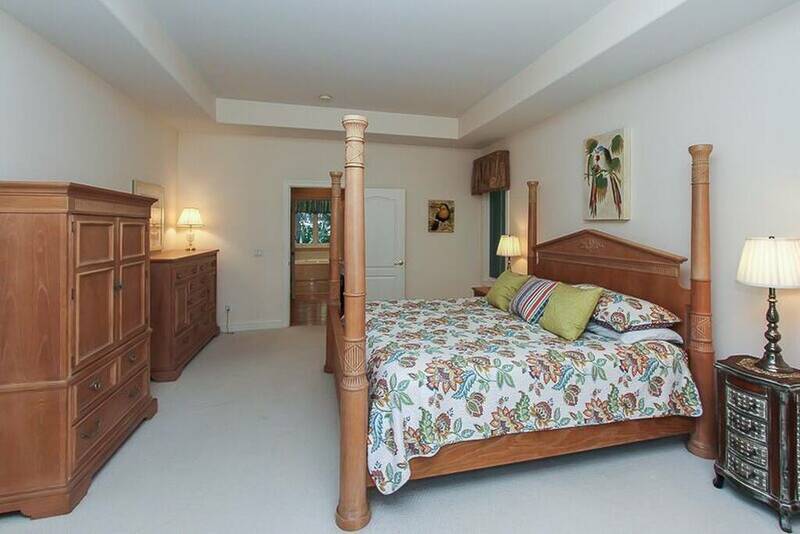 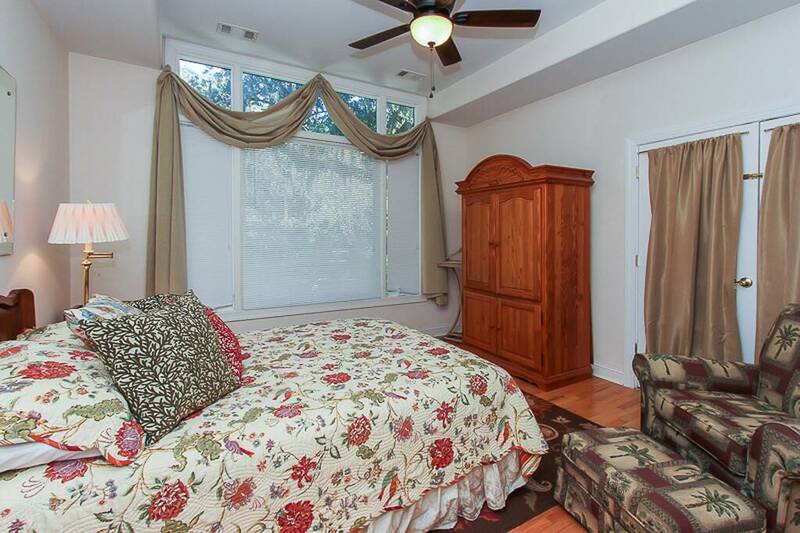 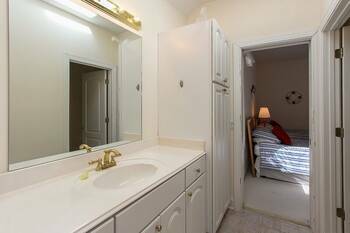 The master bedroom has a king bed and private master bathroom. 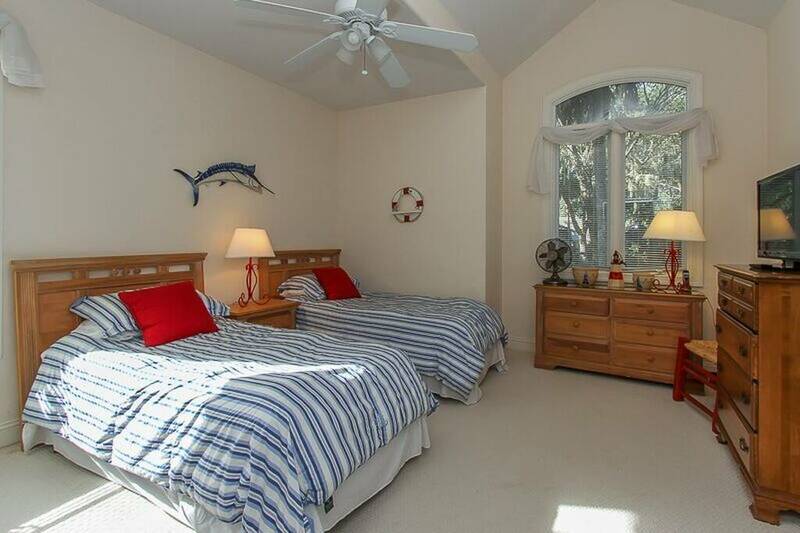 Guest room 1 has a double bed, Guest room 2 has 2 twins, and Guest room 3 has 2 twins. 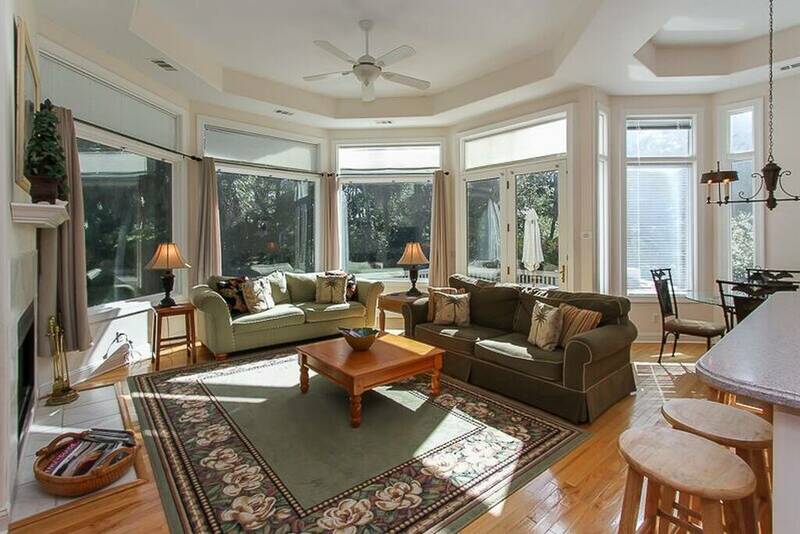 Living Room has a fold out couch to sleep a total of ten people. 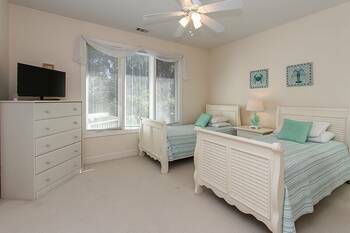 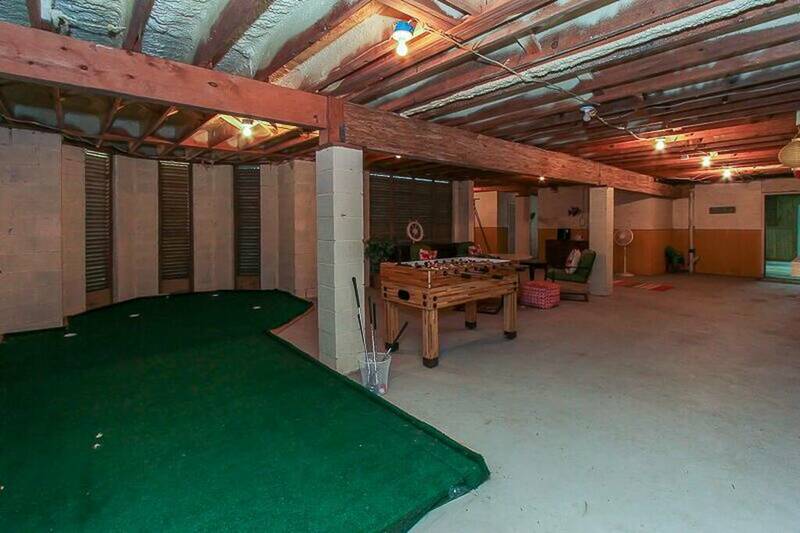 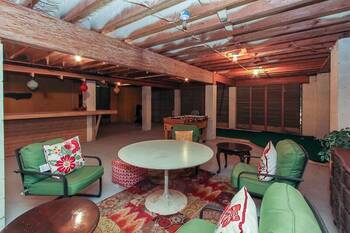 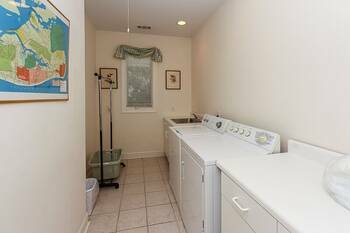 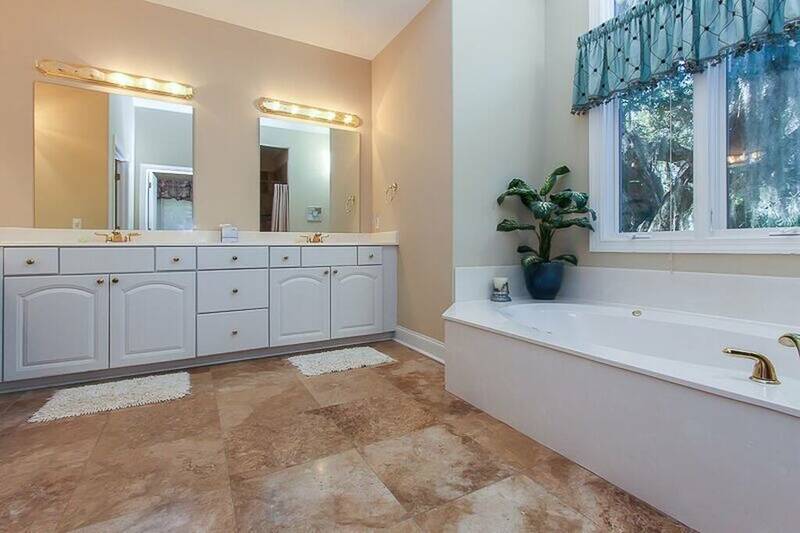 Great place downstairs to play with putt putt greens under the home and full bath near the private pool. 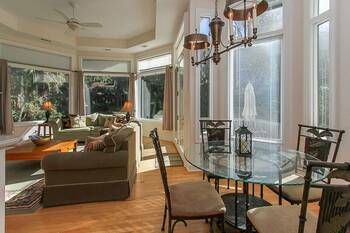 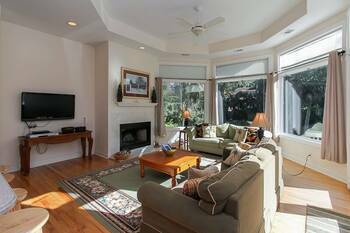 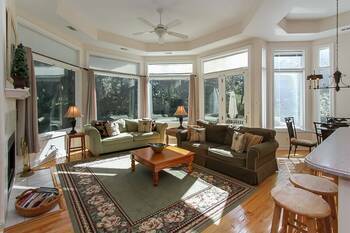 An abundance of windows let in lots of natural light making this home a lovely choice for your next vacation. 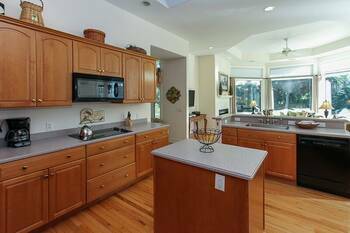 Fully stocked kitchen, huge outdoor deck and pool with hot tub, four large bedrooms, high ceilings, dining area, living room, huge gorgeous open kitchen, wonderful home to vacation in. 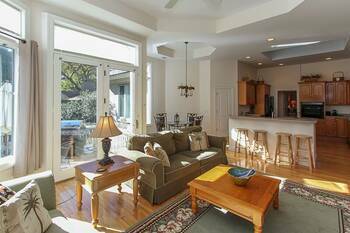 Enjoy all the amenities of Palmetto Dunes, three championship golf courses, beach access, bike paths, tennis courts, swimming pools, oceanfront restaurants, night clubs, fine dining and casual dining all in the Resort. Drive across HWY 278 and enjoy shops and restaurants in Shelter Cove with Fireworks every Tuesday in the Summer. 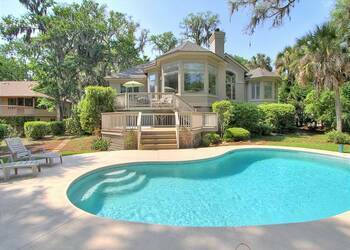 Come for a week and stay forever. Welcome to Hilton Head.